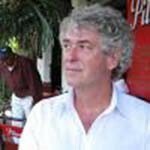 Congratulations to Dr. Gerald Fallon on his appointment to Associate Professor with the Institut des sciences, des technologies et des études avancées d’Haïti / Institute of Science, Technology and Advanced Studies of Haiti (ISTEAH). Dr. Fallon will be part of an international team of scholars involved in research and teaching initiatives addressing issues of capacity building and institutional development in K-12 and higher education in Haïti to ensure the country’s sustainable redevelopment following the earthquake of 2010. Dr. Fallon’s contribution will be in the field of educational leadership and administration.